according to Hindu mythology, are heavenly nymphs who were originally associated with water and later with the countryside. 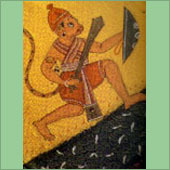 According to the great epic, the Ramayana, their origin can be traced to the churning of the ocean. When the Apasaras emerged from the water, neither the gods nor the ASURAS wanted to marry them, so they belonged to everyone and were known as the "Daughters of Joy" . The Apsaras are charming and beautiful dancers, and are said to be fond of games of chance. However, according to one tradition, they can also cause madness. They are sometimes said to live in fig trees and banana plants. are "enlightenment begins" who are destined to become Buddha. They put off the moment when they will enter nirvana and escape the cycle of death and rebirth, in order that they may help others along the long part to enlightenment. Bodhisattva are thus living symbols of compassion. According to Mahayana, or "Great Vehicle" Buddhism, human beings are some times able to enter paradise by means of a bodhisattva's merits and spiritual power rather than through their own, provided that they call on the bodhisattva in faith. BODHISATTVAS ARE FUTURE BUDDHA. They have such compassion for humanity that they take a vow to attain enlightenment, not just for their personal liberation but to show others the path they have found. 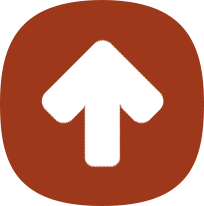 In Mahayana Buddhism, this means that, even though they have reached the threshold of nirvana, they delay their own freedom and resolve to stay in the world to help outers. For them, their own achievement of nirvana is not their only goal. They perceive further stages of enlightenment to be attained on the route to becoming a Buddha. Celestial bodhisattvas, such as Manjushri and Avalokiteshvara, are very near to becoming Buddha themselves, and they act as mediators between the Buddha and mortals. They are not monks, but lay figures who are often portrayed as princes, wearing elaborate jewelry and a five-leaved crown. The bodhisattva Maitreya is the Buddha of the future, a benevolent character who will arrive on earth in about 30,000 years, when the Buddhism of the present age has expired. Bodhisattvas are usually shown robed as Princes, wearing five-leaved crowns. 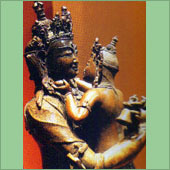 AVALOKITESHVARA and MANJUSHRI are tow of the best known bodhisattvas. 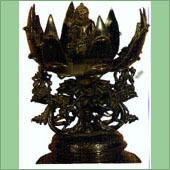 AVALOITESHVASA is the most popular BODHISATTVA OR "buddha-to be" of Mahayana or "Great Vehicle" Buddhism. His name is translated as "Lord of Compassionate Sight" or "Lord Who Looks From On High". The Bodhisattva of the present age, Avalokiteshvara is said to have emanated from the great Buddha AMITABHA. Although his residence is in Amitabha's paradise, he remains in this world in order to attend to the salvation of humans and animals. He is usually represented as a handsome man, with several heads and arms. According to one myth, when Avalokiteshvara was looking down on the suffering in the world, his head burst open in pain. Amitabha put the pieces back together as nine new heads. Then, because Avalokiteshvara wanted to help all creatures, he grew 1000 arms, and in the palm of each hand was an eye: "From his eyes were derived the sun and the moon, from his forehead, Mahesvara, from his shoulders, BRAHMA and other gods, from his heart, Narayana, form his things, SARASVATI, from his mouth, the winds, from his feet, the earth, from his belly, VARUNA." 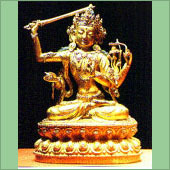 Avalokiteshvara helps everyone who asks for his assistance. He visits hell to take cooling drinks to those suffering the heat the damned, and he preaches the Buddhist law to beings incarnated as insects or worms. He is also said to protect people from natural disasters and to bless children. Moreover, the bodhisattva is said to have converted the female ogres of Sri Lanka and to have been given the task of converting Tibet to Buddhism. In Tibet, his name is Pyan-rasgzigs or CHENREZIG. In China, Avalokiteshvara developed into the goddess Kuan Yin, or Guanyin, and in Japan into the god, or sometimes goddess, Kwannon. are his incarnations on earth in order to help humankind in moments of great crisis. It is generally accepted that Vishnu has ten avatars, although their number varies, and their identities are also flexible. Usually, the incarnations are said to consist of Matsya, KURMA, Varaha, NARASIMHA, Vamana, Parashurama, RAMA, KRISHNA, GAUTAMA BUDDHA and Kalkin. according to Hindu mythology, was the creator and director of the universe. 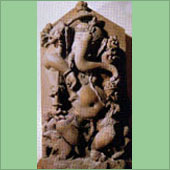 He was the father of gods and humans alike, and in classical Indian thought, he forms a trinity with VISHNU and SHIVA. The three gods are collectively known as the Trimurti. Vishnu and Shiva represent opposing forces and Brahma, the all-inclusive deity, represents their balancing force. 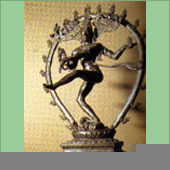 Brahma was also the personalized form of Brahman. Originally, this term referred to the sacred power inherent within a sacrifice, but it came to refer to the power, known as the "Absolute", which lay behind all creation. While the god Brahma meditated, he produced all the material elements of the universe and the concepts that enabled human beings to understand them. In each day of Brahma's existence, the universe is created, and in each night, it is reabsorbed. Within each of these cycles, there is four successive ages, or YUGAS, beginning with the Krita Yuga, or golden age, and ending with the Kali Yuga, the present age of conflict and despair. JAINISM IS AN INDIAN RELIGION and philosophy, which offers an austere path to enlightenment. Much of its mythology was inherited from Hinduism, including huge numbers of gods, and ideas on the structure of the universe, but Janis differ from Hindus in that they do not believe in the idea of creation, considering that time is cyclic. Jain ascetics attempt to conduct their lives following five vows: to injure no living thing (because everything has a soul); to speak the truth; to take only what is given; to be chaste; and to achieve detachment from places, people and things. Their examples in following this discipline are 24 tirthankaras, or "spiritual teachers", who have appeared in the present cycle of time. A tirtha is a ford or crossing-place, or a sacred place, person or path, which enables believers to cross over into, liberation from an endless round of rebirth: for Jains, the tirthankaras were the builders of the ford.